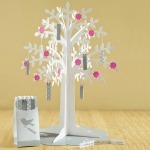 Here is a simple yet lovely way to decorate your favor boxes. Usually we use pom poms to decorate the party room but surprisingly you can make these cute little pom pom and decorate your favors. 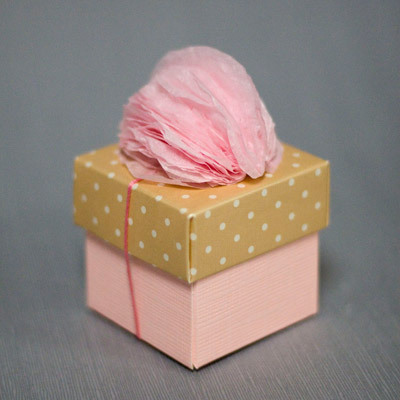 Tissue pom-pom adds texture and the mix and match favor boxes provide visual interest. It is easy and quick to assemble. Get full tutorial step by step. Good Luck and Enjoy! 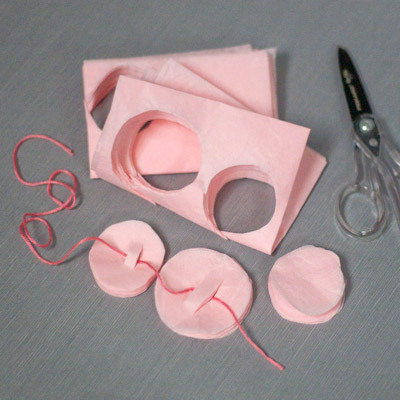 How to Make a Pom Pom Decoration for a Favor Box? 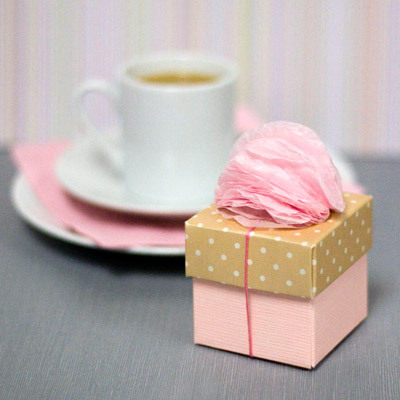 Decorate your dessert table with these adorable favors. 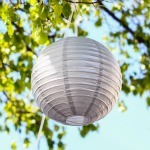 You can adapt this idea to bridal showers, contemporary weddings and sweet 16 birthday parties. Fill these boxes with sweets of your choice. 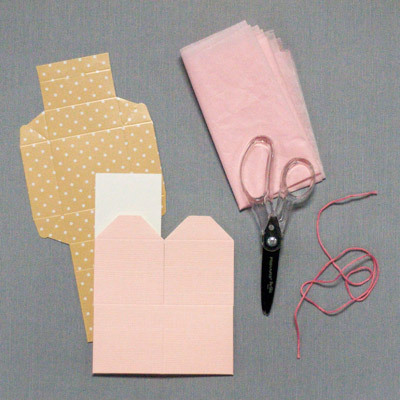 You can change the color of the tissue paper and the boxes to coordinate your color scheme. 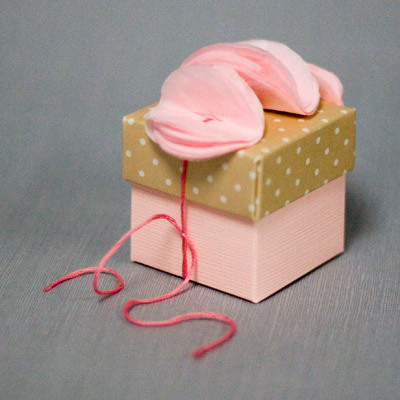 Check this Cute as a Button Favor Box for more decoration ideas.